Protein Bar is one of my favorite healthy fast-casual concept restaurants in Chicago. I love them so much that I featured them in my roundup article about where to get salads in the loop. I recently ran into Protein Bar’s Brand Manager Teddy at the Social Media Day event, who invited me to take a spin class at Flywheel a few weeks out. Protein Bar recently struck up this partnership, as the brands both target a similar demographic and they both promote healthy lifestyles. Anyways, David Barton Gym did a great job with their spin program, but Flywheel specializes in spin. They’re able to produce a much better product, because it’s all they do. 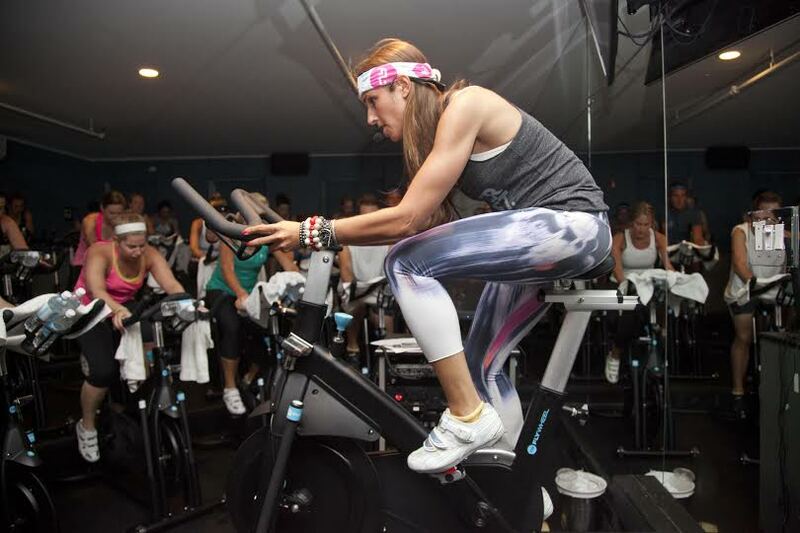 So what makes Flywheel different from your typical spin classes? – They have special shoes that click into the pedals. At David Barton Gym, my feet sometimes felt weird because they weren’t specially-designed for spin and fit differently into the pedals. – It’s competitive! Regular attendees are assigned a username and they can track their energy output through class, that week, that month… all against other regulars! Besides the differences in the class, the facilities were really nice. The lockers didn’t require a lock – instead you program an easy to remember four digit code. The showers were clean and stocked with everything you need to get ready after a sweat session, including shower necessities like shampoo, conditioner, dry shampoo, spray deodorant and more. 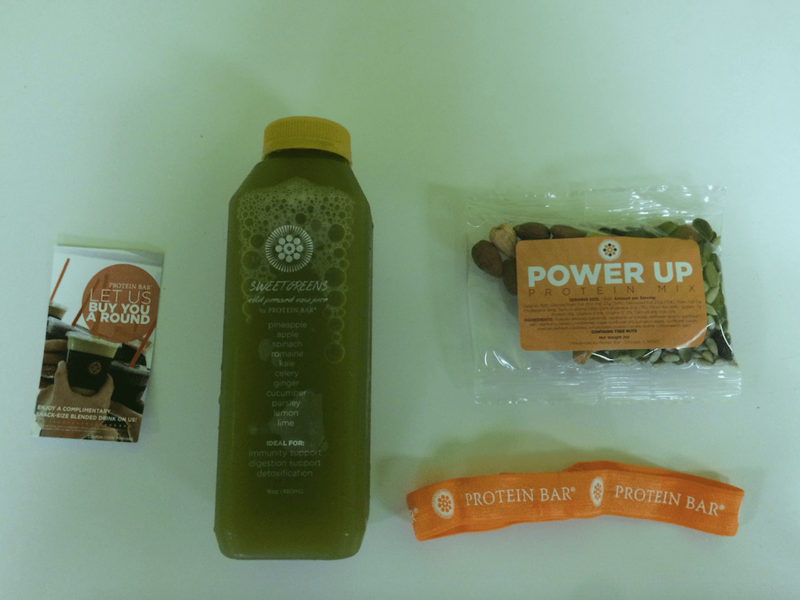 After class, Protein Bar hooked everyone up with cold-pressed juice, headbands, free smoothie cards, and special Protein Bar trail mix. 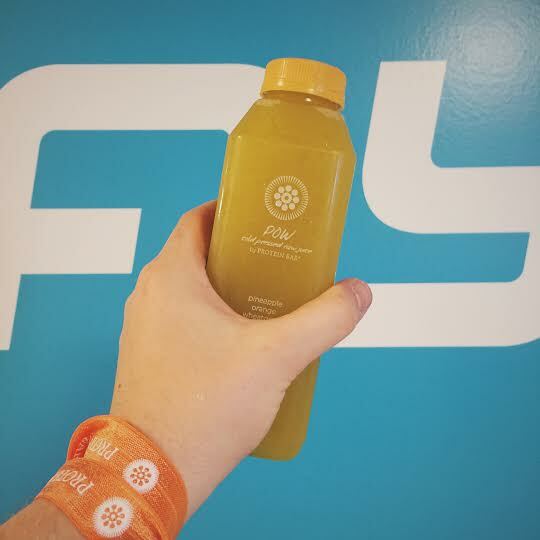 The cold-pressed juice was a refreshing tangy mix of greens – perfect for rehydrating after class. I later redeemed my smoothie card for an Avo-Matcha smoothie – a new favorite of mine. All in all, Flywheel is expensive. There’s no way around it. Depending on the package you buy, it’s about $20-25 per class. What I can tell you is that if you’ll actually use it, it’s definitely worth it. You’re not going to get that kind of workout on your own (unless you’re REALLY good at motivating yourself and know what you’re doing), or at a fitness studio (barre, pilates, etc.). For people who want to be fit or are looking to lose weight, this is a great step in the right direction. At any rate, I’m definitely going back – who’s with me? Thanks to Teddy from Protein Bar for providing photos!